Marianne Williamson, author and lecturer, provides us with a wonderful metaphor: “If we care to honor the roots of a tree, then the trunk and the branches will take care of themselves.” Our roots are this presence of Spirit, that Spirit that is in our very DNA. When we honor that presence, the many branches of our lives will flourish. There is that within us which invites and beckons us to reach out further with our faith. To be radical in believing that the fullness of Christ is available to us at every moment is a measure of our courage and our trust that Christ will indeed do for us what he had promised. We can meet that fullness in the silence. Though silence, and even darkness, can at first seem a bit scary, it is precisely in venturing into that space that we will meet the presence of the Christ in a new and dynamic way. What can help us is the assurance that we do not enter that space alone, for the one who came to teach us how to live our lives fully is standing there waiting. We will never encounter the fullness of Christ’s presence until we venture into that unknown. When we do, what we find is that this space is not foreign to us at all, but that it is home. There is a wonderful old proverb that says, “The doctor dresses the wound and God heals it.” The God who fashioned our bodies, created us; our organs, our cells and all that we are, is also the God who maintains and sustains us. What are we thinking and believing today about the power of God? We should daily affirm the presence of God; we should daily visualize God moving in our lives in ways that bring us peace, harmony and joy. We should daily affirm that for which we are grateful and refrain from continually nursing, rehearsing and broadcasting to others our pains and hurts. Begin to know that God is healing all aspects of your body as the ancient proverb says. Know that those things we dwell upon multiply, so ask, what would we like to see multiplied in our life? Instead of affirming what we don’t wish to experience, perhaps we need to take another tack. Affirm those things we do wish to experience and allow those things to become the new expression of all that we are. We can dress the wounds of our life by affirming our belief in a loving, powerful, giving God, and we can leave the healing part up to the one who has continually showed us that all things are indeed possible. We all know the saying, and use it rather freely at times to make a point, “Elvis has left the building.” When we say this we are acknowledging that something has changed and shifted. The atmosphere has been altered; the presence in the room is now different. What decisions about life would we make if we knew Jesus was standing beside us? 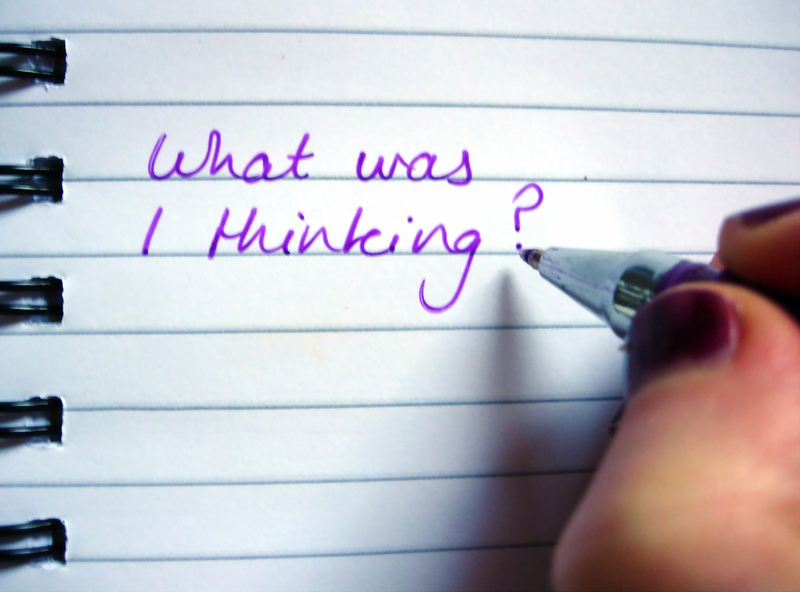 What choices about our thoughts and actions would we make if Jesus were in the room and watching? What plans would we make about our future, or even our present circumstances, if we knew Jesus was standing along side of us? 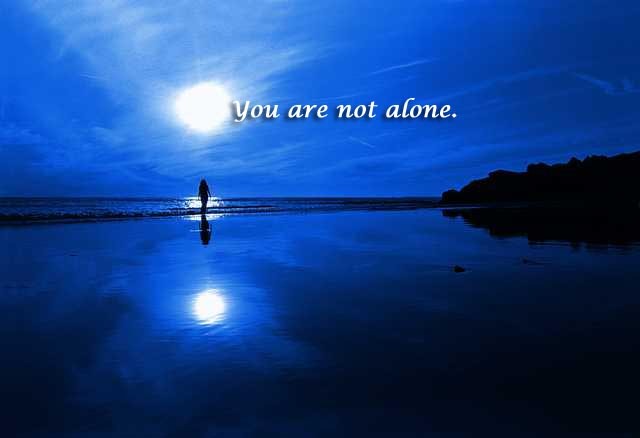 Well my friends, Jesus is standing beside you and Jesus is watching. He is watching because he loves and cares about you and he wants to help, if we would allow him to do so. Often, at our Wednesday night meditation service we do an exercise wherein we visualize ourselves seated on a bench and suddenly Jesus comes and sits beside us. He takes our two hands in his and we just sit together in silence. How powerful this is as we immerse ourselves in the healing energy of the Christ. Jesus is available to us in any way that we need him to be. He can observe us quietly, or he can take action to assist us with whatever is going on in our lives. Either way, it is comforting to know always that Jesus is indeed right where we are. But, we must also remember that Jesus calls us into action. We reach out to Jesus and call forth for his assistance, but we must then move forward following his Divine direction, knowing that he will provide all that we need in abundance as we need it. Jesus is in the room. The energy and the vibration has indeed shifted when we recognize his presence. The light is brighter, the air is clearer, the atmosphere lifted. Our recognition of this powerful presence becomes the instrument of change we have been seeking. As we change, as we shift, our circumstances change and shift. We begin to see new possibility for ourselves and for our world. It begins with a new thought, a new realization, a new belief and affirmation of truth. It begins with the presence in the room. On this Memorial Day weekend we remember the brave men and women of the armed services who fought so bravely for us. We also remember those who kept the home front alive with a spirit of hope and prayed so deeply that their loved ones would be safe. 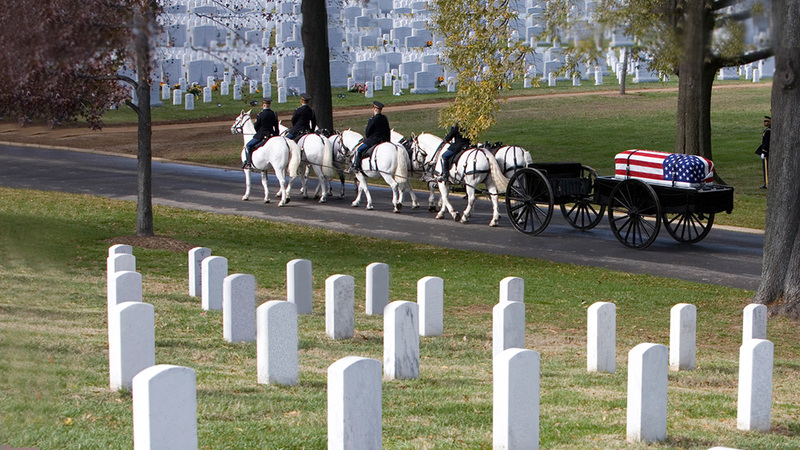 May we all be worthy of their sacrifice and carry forward with dignity and pride the legacy they have left for us. Thank you God for loved ones we remember. We know they are in your care and keeping. This scripture is one that I like to write on a small piece of paper and carry around in my wallet. I like to pull out the paper from time to time and be reminded of this message, its power and its beautiful truth. Before we pray, before our mouths, or our conscious minds, could begin to form the words or thoughts, we have the assurance that God knows and anticipates our needs. God’s perfect Spirit, always with us, is already sending the blessing on its way. It’s as if a package, unknown to us, has been placed in the mail days ago and we suddenly one day offer up a pray for this particular request. That request is answered and we marvel that our need was actually met and sent in our direction before we even offered the prayer. We pray in the Lord’s Prayer, “Give us this day our daily bread.” God’s bountiful harvest has been planted, tilled and watered. That which we receive today was already created in the mind of God. So, why do we pray? We pray as a means of giving thanksgiving to God. We pray because it is a sign of our faith and trust in the one in whom we believe all things are possible. We also pray because in doing so we have opened up a space within ourselves to recognize the answers and miracles. And, we pray because God desires relationship with us. God delights in our quality time spent together. It is in this quality time that we also grow in new awareness and faith. We also pray because it keeps our spiritual connection with God fresh and vibrant. Our prayers help us to see all that God has done. 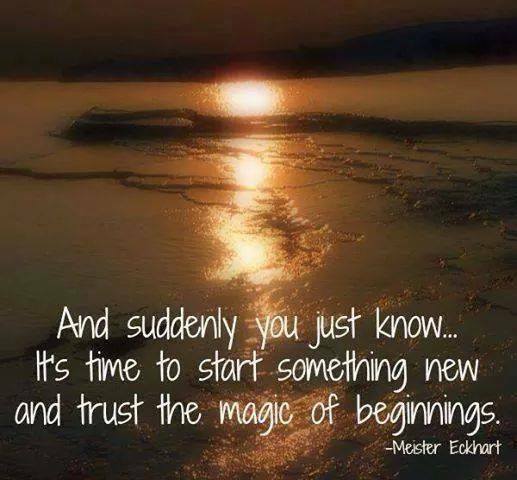 They open our eyes that we may recognize newness of life right where we are at every moment. God has never stopped creating. Through relationship with God we will never stop feeling loved. 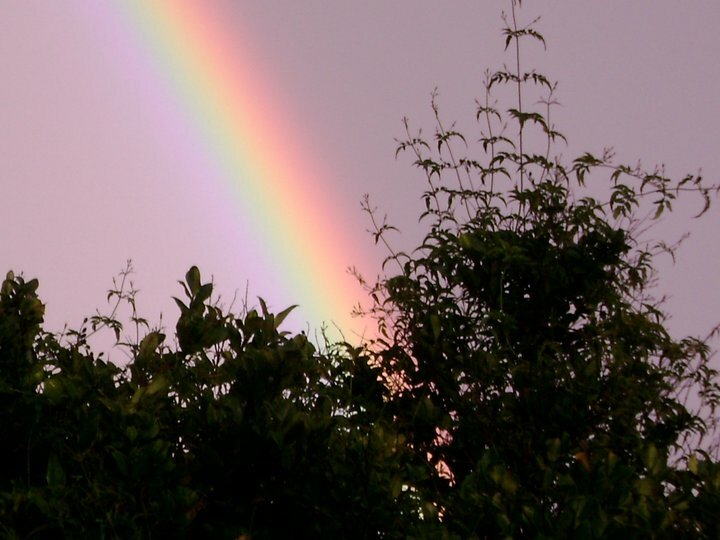 What do we mean by living an abundant life? Living abundantly is fully experiencing the presence of God through Christ and connecting with Spirit with a renew belief and a renewed trust. Most often that connection will take us in ways we had not expected, but we can, through prayer, quiet times of silence and discernment, grow in faith and understanding. I believe that a God who calls us to move in a new direction also gives us all that we need to fulfill this promise. All that we need is provided by an unconditionally loving God just when, and as, we need it. I experience this in my ministry to the church each and every day. Often we have to get out of our own way, the way we think it must be done or look, to see how God is showing us this abundant life. Not easy, but something that can be eye opening. Living life abundantly is living in harmony and Oneness with Spirit and doing so with the assurance that we are blessed at every moment. Learning to live life more abundantly is working through our finite and limited minds to seeing more of God’s infinite being. There is always more of God to experience and we can affirm that each day we see still more of perfect Spirit moving in our lives. The life of Jesus that led up to the cross, and ultimately to his resurrection, was prologue to how he lives within each of us this day. All that we have lived to this day is prologue to what God can do in our lives next. The past is prologue; God is creating anew in and through us today. Be alert, be open, be mindful, and experience the fullness of God right now, right where you are at every moment. It is a life changer. If we were to look into our wallet and only see one dollar what do we suppose would be our reaction? Would we celebrate the fact that,” wow, I have a dollar?” Or would we bemoan the fact that all we have now is that dollar? This can tell us something about our outlook on life. Do we celebrate what we have, or do we always think that we are without? Looking at what we have and being grateful is a wonderful place to direct our thinking. Our feelings of prosperity must always begin with an attitude of gratitude. That attitude of gratitude is a seed that helps us to not only see what blessings we have been given, but also to know that seeds planted in a fertile mind of belief in God can grow and bloom to become ever so much more. Our prosperity begins with a belief that is thankful for what we have now and that our focus on health, happiness and a sense of peace can open us up to see still more of the presence of God all around and through our lives. This is the essence of the cheerful giver, giving gratefully, knowing that God is our true source. God is indeed our true source of all those things we would wish to experience in life. A source of abundance, poured out freely to all who have the faith and vision to receive it. What we have thought was our source is really just a channel from which a certain blessing shows up in our life. Our job, our bank account, etc., are not our true source. When we connect and acknowledge that all things come from a loving and merciful God who blesses us abundantly out of Spirit’s great and wonderful love our perception of what we have shifts in a mighty way. God continues to bless us in so many ways that we often miss because we look in all the wrong places. It is not the number of material possessions that mark our blessings, but the content of our hearts that make us abundant. Being thankful for each blessing we have changes us. Of course we then see an abundant life, because that is what we are focused upon. What Would You Like To Experience Today? What intention have you set for your life today? This week? This month, or this year? Or, have you just been taking each day as it comes, hoping for the best without any real plan? We have all heard the expression, “got up on the wrong side of the bed today.” When we give into that feeling, that emotion for our life that day, we have set before us a mighty intention that will color everything we experience. That’s where our mind is, where our focus is aimed, and so that is what we are poised to continue to experience. We can unconsciously set an intention by being angry, unhappy, feeling put upon, you name it, or we can, with conscious intent, place before us a road of happiness, peace, joy and excitement. We get to choose. At the end of the day how would you have liked your day to look? 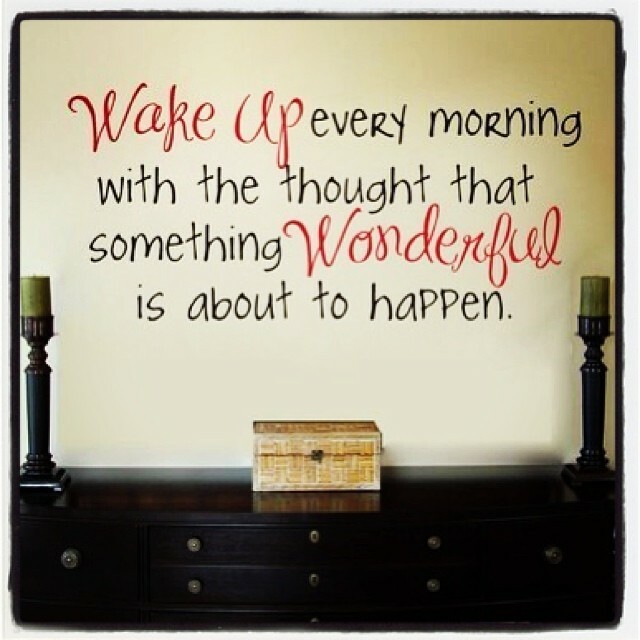 Beginning your day with an intention toward that end can make a major difference. What would we like to experience this day? How will we recognize it? What stepping-stones are we putting down to get us there? 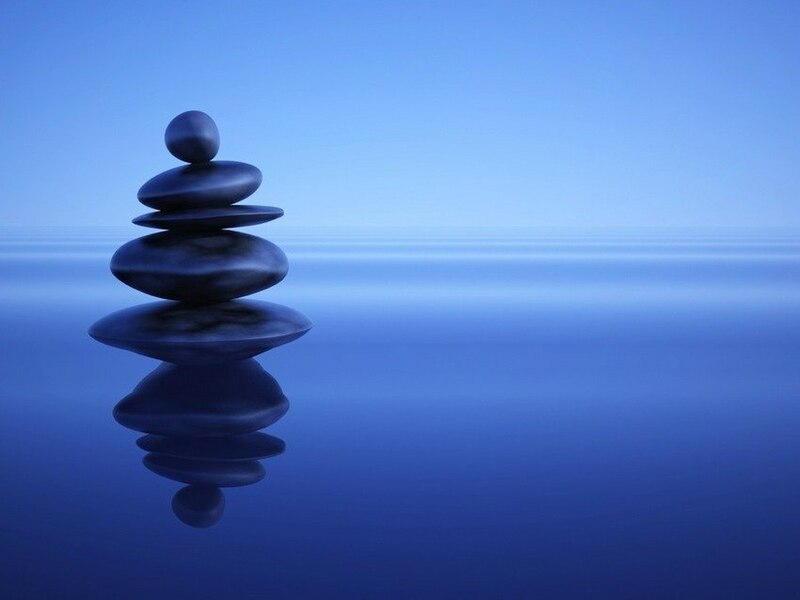 Now, of course things will come at us during the course of a day that may not be ones we would wish to experience, but, if we have set a positive intention for ourselves of peace, joy and God’s presence moving in our lives we will be in a much better place to handle those curves in the road. So, try a little experiment with me for several days and see what happens. Before you get out of bed, affirm the presence of God right where you are. 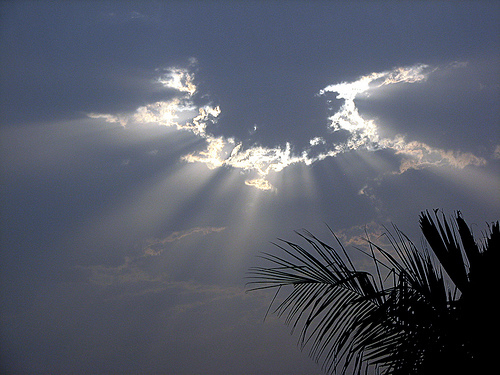 Affirm that God is in all the events that enfold throughout the coming day. Affirm that God is helping your faith and joy in living to prosper. And also affirm that any little annoyances that may come up God will smooth over and handle with prefect peace. This new focus of intention will go before you to create more of those things you would wish to experience and it will also bring the joy and peace of God into your life in new and wondrous ways. Our recognition of our blessings is powerful. It sets for us a new course, one that before our recognition of those blessings was unknown to us. When I was growing up our family would sometimes travel from Washington, D.C. out to West Texas where my great Aunt Leah lived. She still lived in the home where she grew up, in a little sleepy town with a then population of maybe several thousand. I loved my Aunt Leah, she was funny, she was loving, and she was profoundly insightful. My Aunt Leah taught me a lot about prayer. She and my material grandfather were siblings and the children of a minister. I loved to listen to her stories and her thoughts and reflections about God. She taught me that God knows, always knows, what it is that we need. She said God knew that when she was sick she needed healing. God knew when she was grieving and God brought her comfort. God knew when she had decisions to make and God was right there with her answers. God always knew her needs and they were always met. To her they were met in abundance even though to many people it appeared that she had little. She told me that when she prayed, and she prayed often, as a matter of fact it seemed her very thoughts were always a prayer, she gave God thanksgiving and she counted her blessings. She thanked God for each and every thing she had in her life. Especially the people she loved. She just gave thanksgiving for her blessings when she prayed. Her faith was a profound example to me growing up. My first Sunday school teacher growing up was a wonderful woman named Marguerite Wilson. She seemed like everyone’s grandmother. 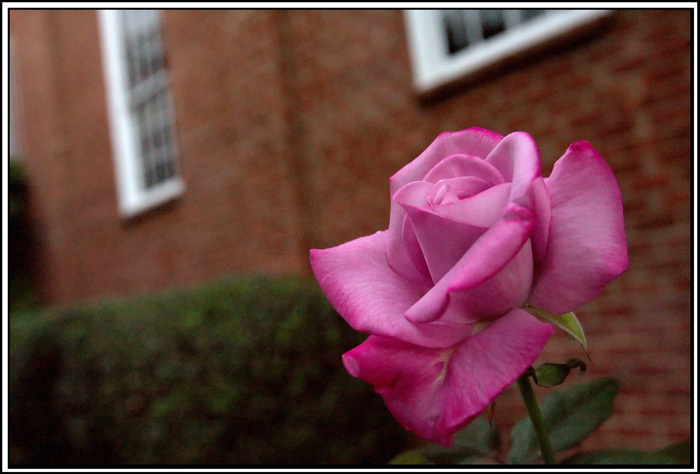 Miss Marguerite and her husband, Mr. George, were what we think of as pillars of the church. They gave of their time, their money and their love because God had blessed them so. They were among those people who, if the doors of the church were opened, they were there. What could they do? How could they help? I kept in touch with Miss Marguerite throughout my growing up and when I was in high school my walk home took me within a block of her house. So, very often after school I would stop and visit. I never told her when I was coming, but she always would have cookies and milk ready for me. I was beginning to sense a pattern. Too often we live our lives in our memory, in the past, or we live them in anticipation of what comes next, instead of living in this very rich and wonderful NOW moment. We can only recognize and experience God’s many blessings when we dwell in this NOW moment. This is a beautiful time – this now moment that God has created and we are called to experience it completely and fully. God has ordained THIS moment, God has anointed THIS moment. God has blessed us and it is in THIS moment that the fullness of God’s grace, love and blessing needs to be recognized by us. Recognized fully – experienced fully – that we may respond with thanksgiving. THIS moment with God is special and we want to experience it fully. Some have said to me, but Pastor, you ask me to count my blessings and I don’t think I have any. You see, my body is racked with pain, my relationships are on the rocks, my check-book is anemic. You say to count my blessings and I hate my job, my boss hates me and I have no idea what I want to do with my life. And I say, yes, you do have blessings. Blessings on which to build your faith to seeing new possibility. I read a wonderful quote, and I am sorry that it was written anonymously, but it says, “Until God opens the next door for you, praise him in the hallway. –That’s looking at our blessings. Did you wake up this morning? Do you live in a country that is free? Does God love you? Did Christ die for you? Better yet, was Christ resurrected for you? These are blessings on which to build your faith. Your spiritual escrow account of faith to sustain you when it seems your personal world has been thrown off balance. Have a challenge? Not sure what to do first? Count your blessings. Look for them deeply, reflectively. You are blessed because God is a God of blessings. God is in the blessing business. God loves you, cares for you. Hurts when you hurt, rejoices when you rejoice and God counts YOU as a blessing. God counts YOU as a blessing. What do you think about that? This world is quick to see scarcity – but God’s world is a world of abundance. One way to look at your blessings is to look and see how your prayers have been answered. As you do this, you see how God has touched your life. Seeing and thanking God for one small blessing reveals another and another and another. You are abundantly blessed, you may just not know it right now because you are looking in the wrong places. Just as every individual raindrop is numbered by God it is the total of the raindrops that brings the rain that makes a difference. That grows the plants, that quenches our thirst. And so it is with our blessings. Each blessing is special, unique and a gift from God. But the recognition of the totality of our blessings, and how they touch our lives, are what really makes the difference. Fall asleep counting your blessing and you will wake in the morning still counting your blessings. Funny how that works. Aunt Leah taught me that. Miss Marguerite taught me that. Stopping in the midst of all that life has upon us to count our blessings is not a denial of what is happening in our lives. Sometimes we are sad and we need to feel that completely and let that play out. Sometimes we are in pain, that is real for us. Sometimes we grieve deeply and we must experience that grief fully, for that is the truth of how we feel. We do not deny that. But, in the midst of all that we feel, stopping to count our blessings helps us to move through whatever is going on in our lives reminding us that we have an advocate – the Christ. It helps us to travel through that journey to the other side, knowing that there IS another side. And that is important. Think of a blessing. I’ll give you a moment. Now thank God for that single blessing. You are now well on you are way to seeing your life in a new and wonderful way. We attract to ourselves what we think about – because that is what we are focusing upon. Focus on your blessings and see how your life begins to change. See the abundance of God moving and acting in your life. That is why we as the church love to give back. Because we have been blessed we are moved to share our gifts with God. Count your blessings, for God loves you, walks with you, cares for you, and God counts YOU as a blessing. 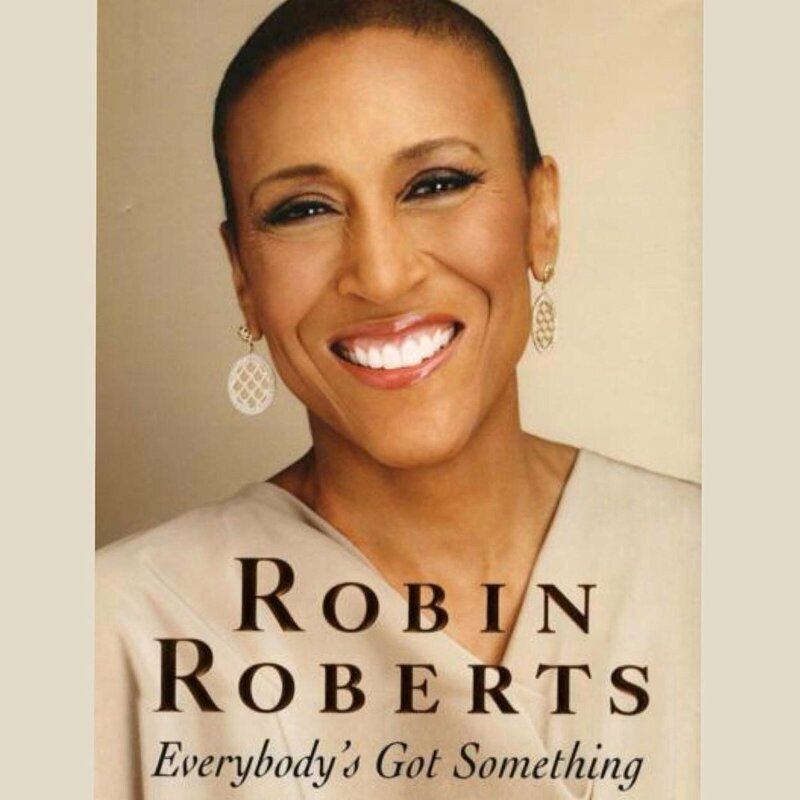 I have been reading Robin Roberts book Everybody Has Something. You know Robin Roberts, she is one of the anchors of “Good Morning America” on morning television. One can tell from the smile on her face on the book jacket that this is one extraordinary woman. Her book tells about her struggles with breast cancer and years later, as a result of those treatments, her experience of needing a bone marrow transplant because of how those earlier treatments had affected her body. She writes that her mother had a saying as she and her sisters were growing up. The saying was, “Make your mess your message.” Take that experience you are going through and through your faith let your message to others help to give them hope in the midst of whatever their “something” might be. This is a powerful idea, to make our personal mess our message. It says that even through our struggle we can find an avenue to allow our journey to be a help for others. Robin Roberts counted her many blessings as she went through her health scare. Her family, her friends, her co-workers, her partner, her career. In the middle of her pain there were still signs of how God had blessed her, and continued to bless her abundantly. She thanked God for being with her each and every step of that journey and in the process she found an avenue to her healing. God touches each of our lives in amazing ways. We must continue to stop, give God thanksgiving, and count the blessings we have been given. Counting our blessings changes the direction of our thinking and it re-focuses us to the power of God in our lives. Our faith will be uplifted and our courage will be strengthened as we do so. Our “mess”, may just become encouragement for another as it also moves us to a greater realization of the presence of God in our lives.